Matt is an experienced and passionate Recruiter who has been involved with recruiting since 2013. He graduated from Kean University in 2011 with an English degree. 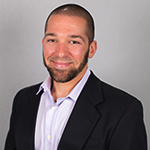 Matt joined Friedman Williams in 2016 and has worked heavily within the Information Technology, Accounting & Finance and Administrative Support divisions. Matt truly enjoys helping professionals at different stages in their career and opening doors for them to amazing opportunities with our great clients throughout the country. Outside of work, Matt enjoys being a family man, traveling, and is a serious sports enthusiast.